The team’s solution involves using a combination of 2D and 3D cameras, along with multispectral vision, to detect the cucumbers. This can be done with a success rate of up to 94 percent. The robotic arms support the vision systems by assisting with search through the removal of leaves in the hunt for pickles to pick. 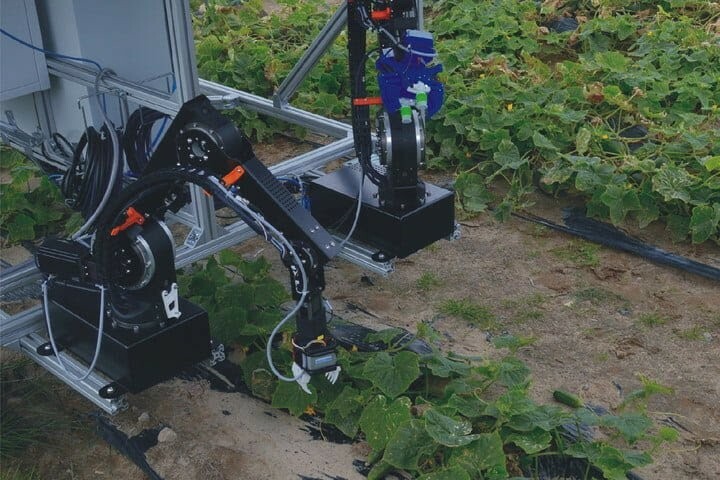 The aim is for the robot to be as efficient as an experienced human picker, who can pick as many as 13 cucumbers per minute. However, it will have the usual advantages of an automated approach: namely possible 24/7 functionality with no sick days or holidays.